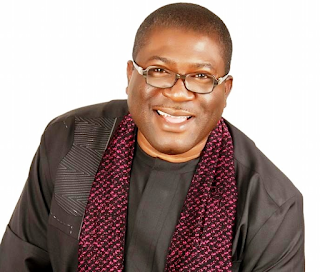 Hundreds of protesters took over the major streets of Owerri to register their grievances over what they perceived as injustice against the Imo State Deputy Governor, Prince Eze Madumere, by the State House of Assembly through trumped up charges aimed at impeaching him. The protesters stormed the streets of Owerri as early as 6am chanting various songs in protest, accusing Governor Rochas Okorocha of masterminding the plot and described the charges against Madumere as kangaroo. The demonstrators also described the State House of Assembly as the worst in the state since the inception of democracy in the country, describing the lawmakers as rubber stamp in the hands of Governor Okorocha. Some of the placards displayed with various inscriptions such as, “Okorocha leave Madumere alone; Okorocha must you foist your son-in-law on Imo people; We are in Democracy not in ‘familiocracy’; We say no to Okorocha’s third term agenda; APC will not accept imposition of family candidate; NWC rise up before we lose Imo to PDP; We appeal to President Buhari to intervene in Imo situation”. The protest, which brought vehicular and human movements to standstill, saw workers abandoning their vehicles to walk long distances to their places of work. Also, traders were not spared the agony as major streets such as Wetheral, Okigwe Road, Assumpta Avenue, Tetlow Road and other adjoining streets were shut down as a result of the surging crowd. Speaking to journalists, the leaders of the group, Barr Chidiebere Nworgu, lamented that Imo State is sliding to a one man business where an individual now treats others with levity, saying that the time is now to resist such undemocratic tendencies coming from Okorocha. He called on the clergies and the elite to speak out against injustice meted on Madumere. He said; “Where has Madumere derailed? This is a man who has been discharging his duties conscientiously coupled with infectious humility. Is it not the same Okorocha who told us that the Deputy Governor does not give him stress, which made him pronounce in various fora that the “Prince Madumere as his son in whom he is well pleased”, and wondered what has changed between now and then. He further attributed the love lost between the Governor and the Deputy to Madumere’s insistence in taking his destiny in his hand by making himself available to contest the governorship of the state against Okorocha’s resolve to foist son-in-law on the citizenry. Barr. Nworgu explained that Charter of equity must be adhered to, insisting that it is the turn of Owerri zone to produce the next Governor, come 2019. In his contribution, Nze Stanley Onuoha stressed that there is nothing wrong in Madumere to pursue his ambition and it is only God that gives power. He charged Nigerian politicians to stop playing God in pursuit of self-aggrandizement. Nze Onuoha maintained that the Deputy Governor is eminently qualified to govern the state with his education, cognate experience and exposure in corporate world, Governance and impeccable strength of character.